Montreal taxis are generally clean, the drivers courteous, and response time is fast, about 10 minutes or less after making a call. They could be. Or not. In Montreal, no car color code applies as in other cities like in New York where all registered cabs are yellow cars or in Rome where they're uniformly white. Montreal taxicabs come in all colors. The only exception is Téo Taxi's fleet of electric cars, which share a green-and-white color scheme. 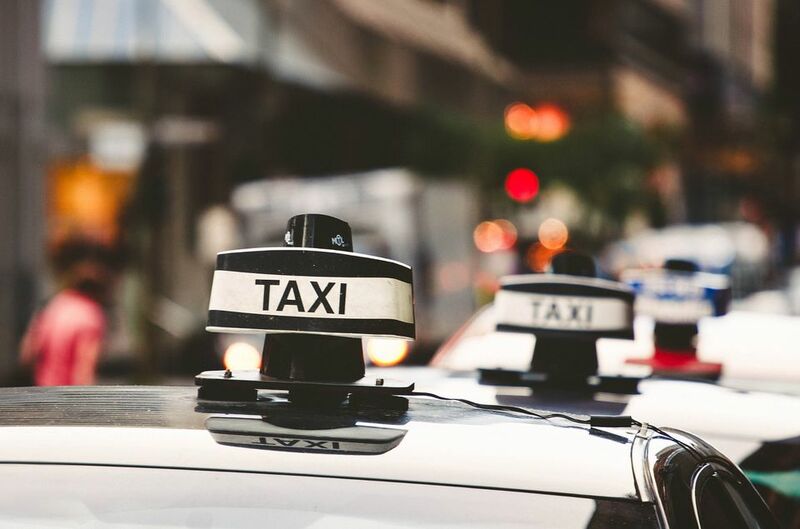 Before even calling a taxi, figure out how much a Montreal cab ride will cost with Taxi Fare Finder by entering your departure and destination information. While most of the taxi companies listed below will only pick up customers in central Montreal neighborhoods such as those listed in section A-11 of the Montreal map, there are a couple of taxi companies that will pick you up in the far East and West of the island of Montreal. If, after your taxi ride, you were grossly unsatisfied with the service you received, you can (and should) file a complaint with the city of Montreal or email the Montreal police at bureaudutaxi@spvm.qc.ca. Uber Taxi - Uber is not a taxi company per se, but an on-demand taxi dispatching service that uses GPS-based technology. It came to light in the fall of 2014, after a series of sexual assault allegations in Montreal cabs were revealed by local media, that two levels of government failed to ensure criminal background checks of the majority of Montreal's fleet of cab drivers, endangering rider safety, most especially the lives of women. To add insult to injury, the response at the time indicated no intention to immediately remedy the situation. Instead, the onus was squarely placed on women to drastically alter and restrict their freedoms and lifestyles to ensure their own safety in a supposedly first world nation rather than address the government's failure to uphold its own law. Atlas Taxi - Generally pleasant and friendly drivers work at Atlas and dispatching response is fast, with a cab arriving in usually five to ten minutes if not less, particularly on the west side of Montreal (e.g., Westmount, N.D.G., Snowdon, St. Henri). Taxi Co-op - They'll even jump start your car if you need it or help you open your car doors if you locked the keys in for (service parameter and prices subject to change). They also have special-purpose taxi transportation for customers in wheelchairs. Great coverage across the island of Montreal too, from east to west. Unitaxi - Enjoy the luxury of a well-groomed sedan and dressed up driver, without paying more than regular cab fare. The only caveat is the wait time, roughly 20 minutes, which is about double what you'd expect from other cab companies. But if you can bear the wait, want to make an entrance while keeping prices reasonable, and can afford to tip for great service. The following cab companies are authorized to pick up customers in the central Montreal area (section A-11 of Montreal). Taxi Van Medic (514) 739-9933, service for people with reduced mobility and for customers who need escorts for health reasons like day surgery, medical appointments, etc. These taxi companies are authorized to pick up customers in the easternmost communities on the island of Montreal (section A-05 of Montreal). ﻿These taxi companies are authorized to pick up customers in the westernmost communities on the island of Montreal (section A-12 of Montreal).